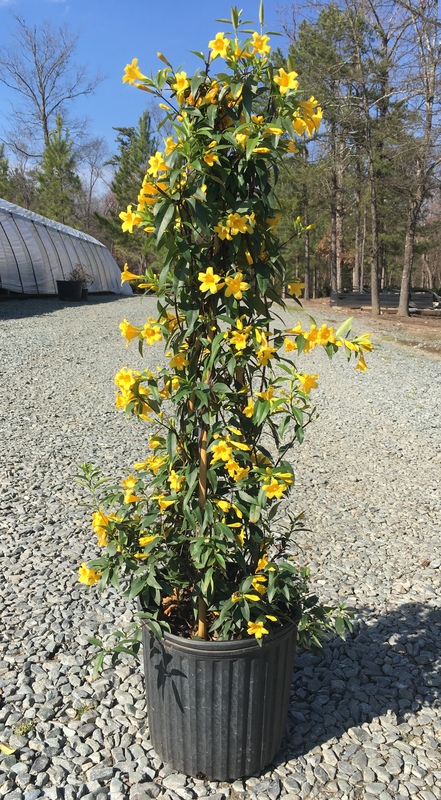 Carolina Jasmine is a twining evergreen vine that produces masses of fragrant yellow flowers in spring. Native. Prefers full to partial sun.